Dr. Anna Fromzel is a top-ranked dentist in Stamford, Connecticut, with a long-standing reputation for gentle, compassionate care for all sorts of oral health issues. At Family Dental Care of Stamford, Dr. Fromzel helps patients enjoy better oral health and wellness at every age and every stage of life, providing the most advanced treatment solutions based on a thorough understanding of each patient’s unique needs. Dr. Fromzel is skilled in an array of preventive, restorative, and cosmetic dentistry treatment options, including root canals, extractions, and veneers, and she also offers comprehensive pediatric dentistry care to help get kids off to a great start with their teeth and gums. Providing patient-centered dental care for more than 15 years, Dr. Fromzel stays up to date on current and emerging treatment options to ensure each patient receives care optimized for their needs. 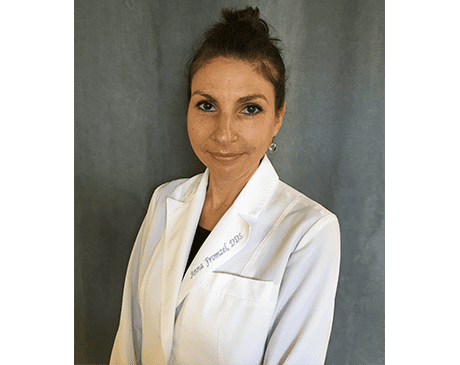 A graduate of New York University College of Dentistry where she received her Doctor of Dental Surgery (DDS) degree, Dr. Fromzel also earned a degree in dental hygiene from Fones School of Dental Hygiene. Dedicated to providing personalized, “small-town” care with all the amenities of a “big-city” practice, Dr. Fromzel is devoted to providing custom care solutions aimed at helping patients achieve better oral health as well as healthier, more beautiful smiles. At Family Dental Care of Stamford, she enjoys meeting and caring for new patients as well as providing treatment for long-standing patients of all ages, and the practice accepts most major forms of dental insurance.